They also are exhibiting a high level of relative strength or weakness compared to the general market. As we know, the markets have reversed trend and also become far more volatile over the last few weeks. Therefore I am looking to add short positions which match my criteria. Despite this, I have still been on the lookout for potential long trades ready to breakout against the market. A couple such stocks are shown below. I had never heard of either of these companies. All that matters to me is what the stock price is doing, as it is only that which can make me a profit. 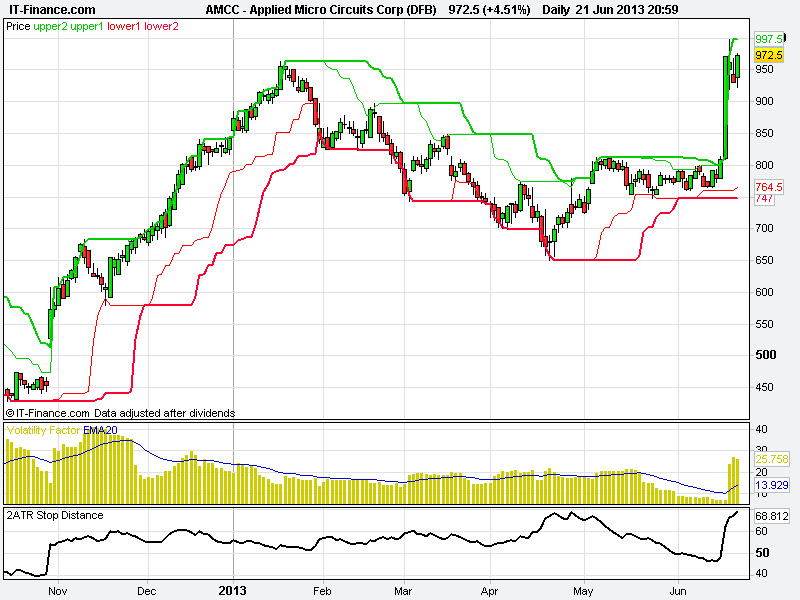 The first is Applied Micro Circuits ($AMCC). Price has consolidated nicely since early May, before breaking out convincingly on Tuesday. This has also held onto those gains over the rest of the week. 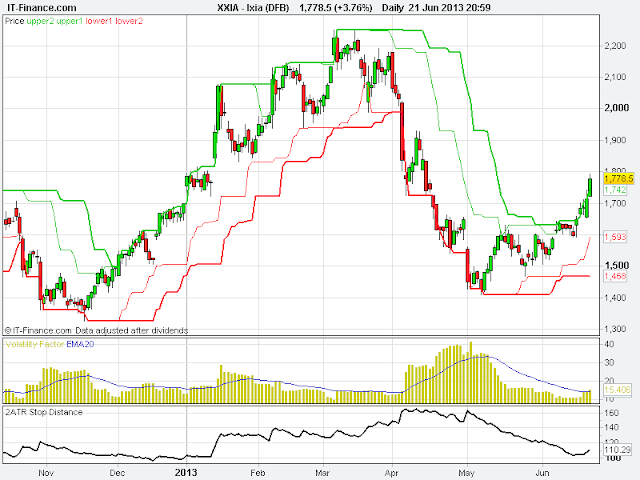 The second is Ixia ($XXIA), which moved off its early May lows before consolidating. 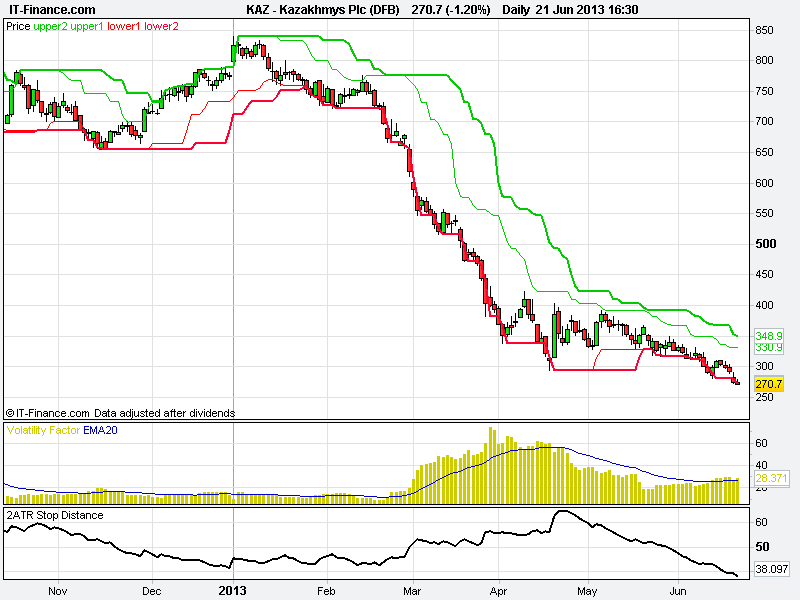 Again, this broke out in the early part of the week, and has carried on upwards. In both cases, I was able to highlight these stocks as potential set ups to the members of the mentoring programme, before they broke out. Because of our system rules, we now have no capital at risk (barring any adverse gaps through our stops). But we identified and acted upon good setups, and the coming days and weeks will show whether these trends will develop further.